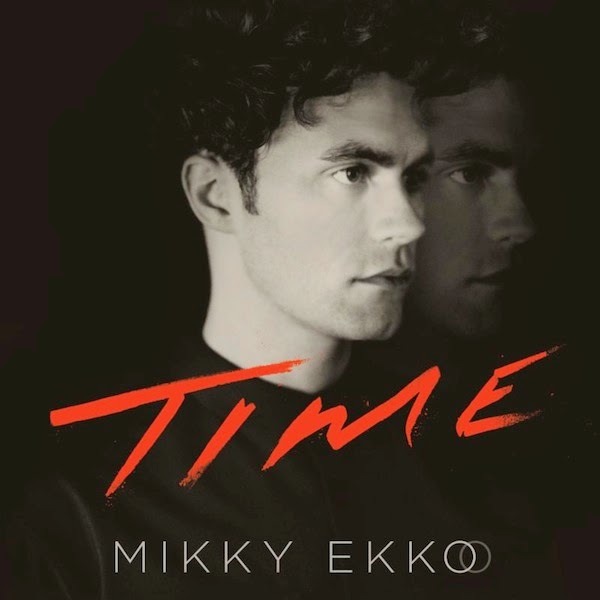 Discussions Magazine Music Blog: MIKKY EKKO/Debut album TIME available Januray 20th, 2015! MIKKY EKKO/Debut album TIME available Januray 20th, 2015! Following the release of its lead single "Smile," Mikky Ekko is back today to announce the release date of his debut LP, as well as announce his forthcoming co-headlining tour with HAERTS. Time is set to be released on January 20th by RCA Records and will be available for pre-order on November 10th. Its release will come on the heels of the aforementioned dates with HAERTS as well as his November tour with alt-J, on which he will be performing "Smile" along with his collaborations with Dave Sitek, Jeff Bhasker, Stargate, Dennis Herring, Clams Casino, Blood Diamonds, Justin Parker, Ryan Tedder and Benny Blanco - all a part of Time. Check out Hippie Sabotage's recent remix of "Smile," as well as the original's video and all upcoming Mikky Ekko tour dates below. Following last summer's release of his track "Kids" and his first US tour - a run of dates supporting Jessie Ware, Mikky released an EP, featuring songs culled from his performance at iTunes Festival in London when he opened for Justin Timberlake in October last year. Additionally, Ekko co-wrote, produced and was featured in Rihanna's single "Stay" which became one of the biggest hits of 2013, selling over 10 million tracks worldwide peaking at #3 on the Billboard Hot 100 and #1 on the Pop Songs chart in the U.S., and earning Ekko a Grammy Award nomination for Best Pop Duo/Collaboration. He also delivered a memorable live performance of the song with Rihanna at the 2013 Grammy Awards. Ekko, a Louisiana native who currently resides in Nashville, co-wrote and is featured on Chris Malinchak's current single, the disco stormer "Stranger." Mikky Ekko was recently nominated for a 2014 MTV Video Music Award with David Guetta for "Best Video with a Social Message" for the song "One Voice," which the two recorded for the United Nations' "The World Needs More" campaign. Mikky's music has already been licensed in True Blood, The Blacklist, Grey's Anatomy, Orange is the New Black, Homeland, and more.